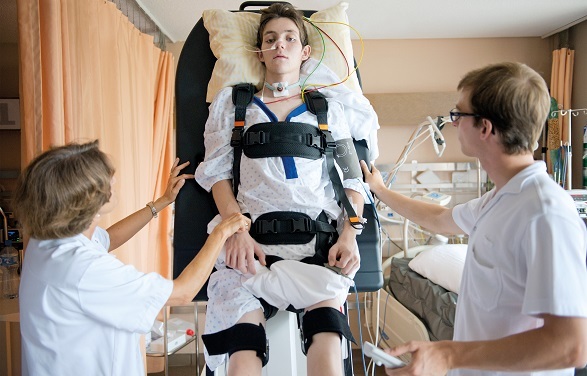 The mobilisation and verticalisation of immobile patients can be very challenging, particularly in acute care, and can be unsafe for patients and therapists alike. 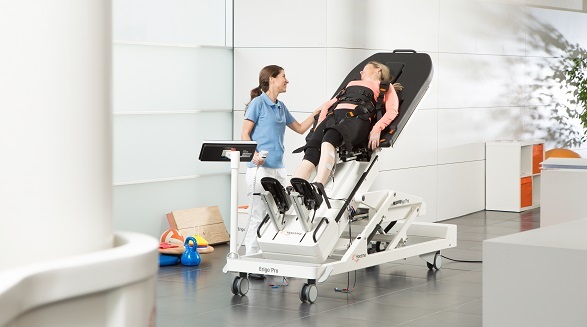 Hocoma’s Erigo allows early and safe mobilisation, even in acute care. 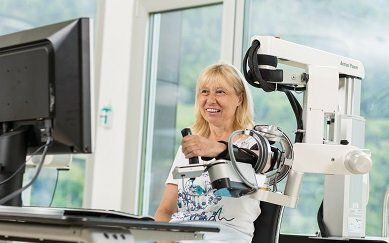 The Erigo‘s robotic leg movement leads to muscle activation, improved muscle pump function, and venous return. This ultimately results in improved cardiovascular stability, and patients who have been tilted with the Erigo generally don’t suffer a drop in blood pressure and therefore have a reduced tendency to collapse. 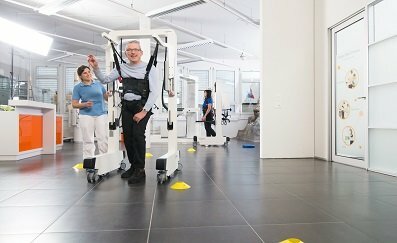 Patients can tolerate the upright position much better than patients treated on a traditional tilt table. 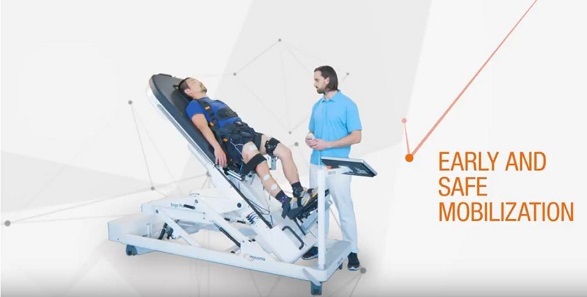 The Erigo Functional Electrical Stimulation (FES) further increases the afferent stimulation of patients, and thereby their cardiovascular stability, during early verticalisation. The electrical activation of key leg muscles supports the increase of blood flow in the patients’ lower limbs. This leads to improved venous return which helps to maintain stroke volume and blood pressure. Furthermore, therapy with the Erigo FES improves cerebral blood flow and muscle strength in lower extremities leading to recovery of motor function. 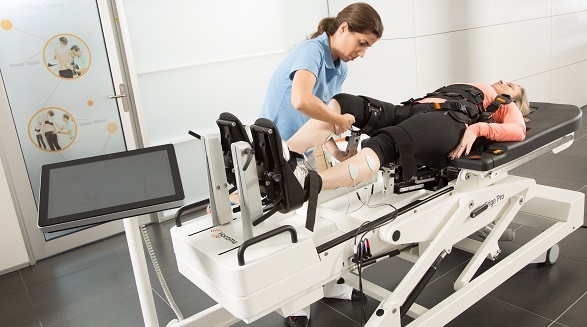 The Erigo‘s Functional Electrical Stimulation is fully synchronised with the robotic leg movements. Early mobilisation supports the recovery of patients as well as having a positive effect on the cost-effectiveness of treatment by reducing the amount of time spent in acute care and subsequent rehabilitation clinics. 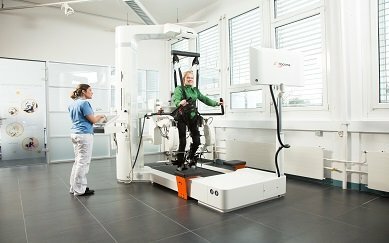 It has been shown that early physical therapy, using equipment such as the Erigo, reduces the amount of time spent in intensive care, the length of time spent in hospital, and therefore the overall therapy costs. The Erigo also helps in reducing medical complications associated with immobility, and relieves the strain put on the therapist. This allows the therapist to focus fully on therapy, using easy-to-use technology to increase the efficiency of rehabilitation. The Erigo is highly mobile and set on wheels for easy transport between rooms. It can easily be adjusted to align with patient bed for supine transfer or even transfer with a patient lift. It offers safe training with direct patient contact and interaction. 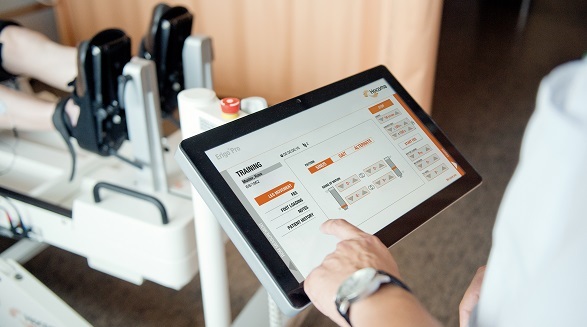 Hospital equipment such as patient monitoring systems can be safely attached to the hand rails. 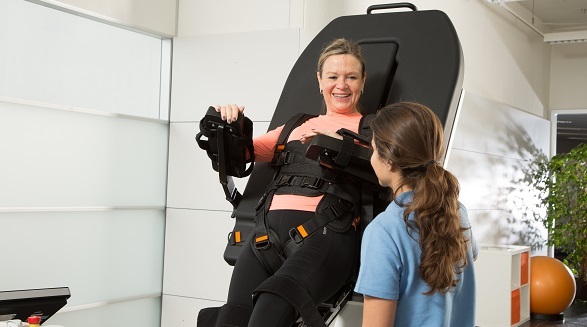 The Erigo also features an intuitive user interface on a touch screen, electronic adjustment of leg length, as well as a flexible one-size-fits-all patient harness system. Visit knowledge.hocoma.com for numerous studies and research conducted with the Erigo and all of Hocoma‘s products. Download the Erigo brochure here. 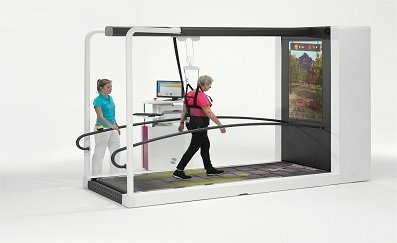 Relearn how to walk from the beginning with the Lokomat, a robotic-assisted therapy solution that enables intensive gait training.